I pick litterboxes (three) three times a day. Still no help. The only reason I have not changed is I can not deal with fragrance/& afraid cats will reject new litter. Would love a response on a dust free. We are fans of Dr. Elsey's Ultra Premium Precious Cat Litter and surprised that you have had such as bad experience. It is the best selling product on Amazon. Make sure you are buying the Ultra variety. 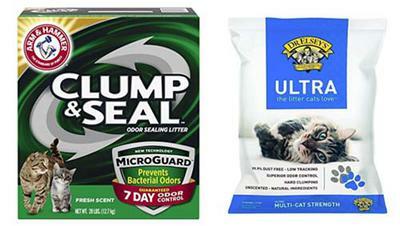 A good alternative would be Arm & Hammer Clump & Seal litter, which also has very low dust.